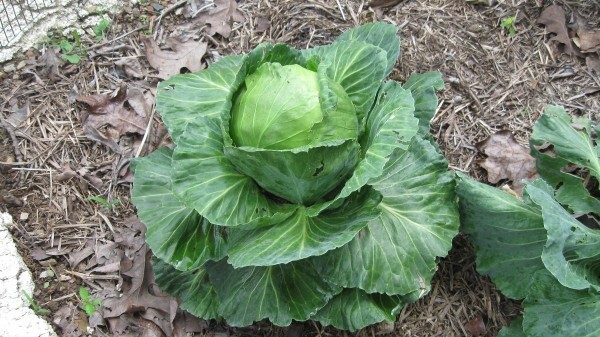 Many farmers and people who grow vegetables at home have problems with bugs eating their cabbage plants. The most common pest is the cabbageworm. The worm attacks young cabbage plants and feeds on the leaves. Furthermore, if the worms aren't controlled they can prevent the heads from forming. 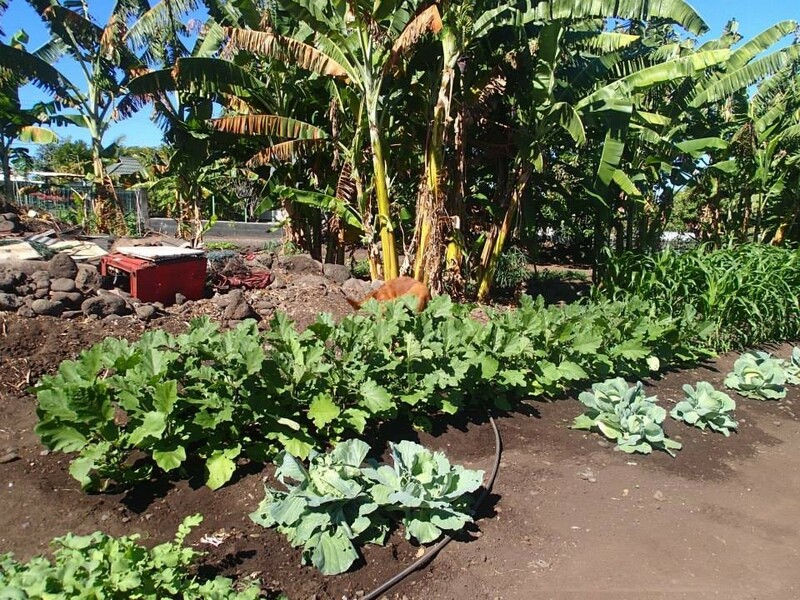 I tried several natural remedies to control the cabbage worms in my organic garden. However, these remedies seemed to fail. Furthermore, I didn't want to buy Bacillius thuringlensis (Bt) to control the cabbage worms in my garden. I don't use non-toxic insecticides in my garden. I prefer to control snails, slugs, cabbage worms, and other pests with natural or organic remedies. I experimented with different herb plants, using fish oil mixed with crushed garlic, and cutting up slices of cucumbers and placing them around the plants in aluminum pie plates. However, I still had problems controlling the cabbage worms eating the leaves on my plants. I spoke with a few people and it seemed that everyone used an insecticide to control the cabbage worms in their garden. However, one person I talked with said that they used tobacco mixed with water to spray their tomato plants and control the bugs eating their tomatoes. Therefore, I decided to experiment with spraying my cabbage plants with a tobacco and water mixture. Follow these simple steps to keep the cabbage worms and other insects from destroying your plants. 1. 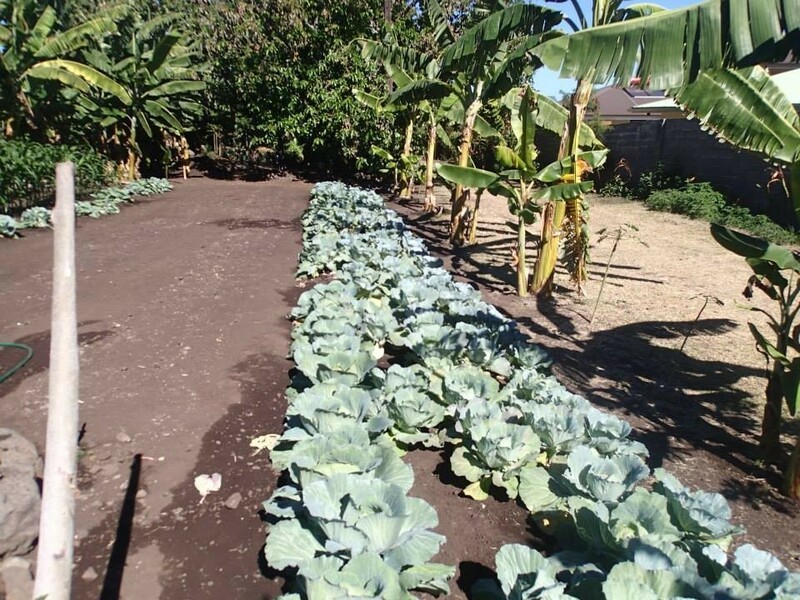 When you first plant your cabbage plants, plant them in rows. Space the plants 12 inches apart. Afterwards, dig a small trench on both sides of the plants. When you water the plants lay a hose in the trench and slowly soak your ground. Never water the leaves of the plants. Furthermore, when the cabbage heads start to form it's best to not water the new heads. 2. 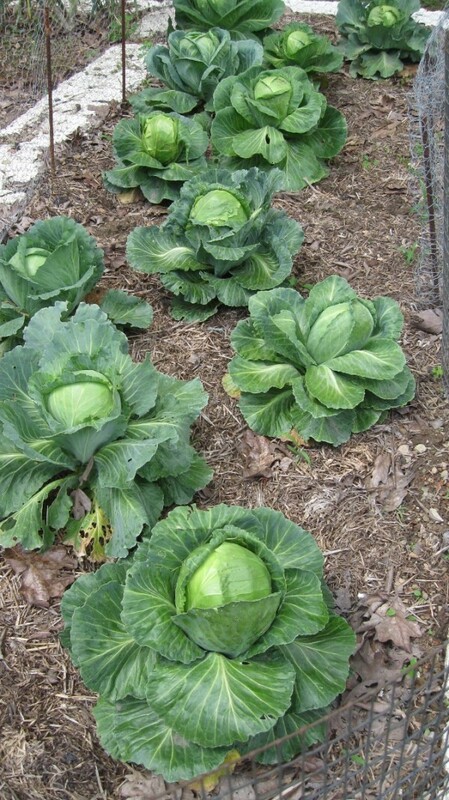 Alternate the rows when planting your cabbage plants. Plant the first row of cabbage plants. Next to this row, you can plant ginger, garlic, basil, mint, lavender, or clover. The strong odor of these plants helps prevent moths from laying eggs on your cabbage leaves. 3. Fill a large, covered drum or container with water. Add 20 to 30 tobacco leaves. If you can't grow tobacco plants, use 3 to 4 packages of rolling tobacco. Cover the container for 2 weeks. Three times a week, stir the water in the drum or container. The water in the drum will turn black and have a strong odor. Place a cloth over a hand held sprayer bottle. Slowly pour the liquid in the sprayer. Afterwards, spray the cabbage plants with the tobacco and water mixture. Make sure you spray the underneath of the leaves. The odor and residue from the tobacco leaves are toxic to the worms when they eat your plants. However, the tobacco liquid isn't toxic to you. 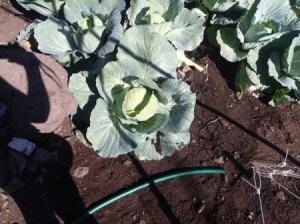 After the plants are grown and you harvest your cabbage, wash the cabbage. This removes the tobacco residue on your food. 4. After it rains spray your cabbage plants with the tobacco liquid. Furthermore, if you see the plants have cabbage worms, spray the plants again. You can spray your cabbage plants once a week with the tobacco liquid to control the worms eating your leaves. 5. Once a week, change the cucumber slices in your aluminum pie plate. The fresh cucumber slices on an aluminum surface produce an odor that snails and slugs don't like. When you slice the cucumber there's no need to remove the skin. I'm pretty sure that it is the nicotine in the tobacco that is killing the pests. Nicotine is quite a powerful poison, so I don't know if this is a big advantage over other pesticides. How do you know that the tobacco liquid is not toxic to people? I have used the tobacco liquid for controlling bugs in my organic garden for a number of years now. When it rains the tobacco liquid is washed off the plant leaves. Furthermore, when you wash the cabbage or other vegetables the liquid is washed off the vegetables. I don't use a high concentrated liquid to spay my plants with. In a large drum, I think it is 30 gallons, I only add 15 green tobacco leaves. Furthermore, liquid tobacco won't poison my ground or river that runs by my garden. Pesticides are harmful to the environment where the tobacco liquid isn't. The state in which I live produces more tobacco than any other state in the USA. I've had some dealings with tobacco. I know for a fact that children who work in the tobacco fields are often made sick by coming in contact with the tobacco plant, that is, merely by touching the plant. It may surprise some people to know that one reason so many of these child laborers start smoking is because it is a known fact that smoking builds up a level of nicotine in the body to the point they are no longer made sick when they handle tobacco. Here we studied the impacts of smoked cigarette filter toxicants and microfibres on the polychaete worm Hediste diversicolor (ragworm), a widespread inhabitant of coastal sediments. Ragworms exposed to smoked cigarette filter toxicants in seawater at concentrations 60 fold lower than those reported for urban run-off exhibited significantly longer burrowing times, >30% weight loss, and >2-fold increase in DNA damage compared to ragworms maintained in control conditions. Bioconcentration factors for nicotine were 500 fold higher from seawater than from sediment. Our results illustrate the vulnerability of organisms in the water column to smoking debris and associated toxicants, and highlight the risks posed by smoked cigarette filter debris to aquatic life. Environmental fate and exposure; neonicotinoids and fipronil. Environmental contamination occurs via a number of routes including dust generated during drilling of dressed seeds, contamination and accumulation in arable soils and soil water, runoff into waterways, and uptake of pesticides by nontarget plants via their roots or dust deposition on leaves. Persistence in soils, waterways, and nontarget plants is variable but can be prolonged; for example, the half-lives of neonicotinoids in soils can exceed 1,000 days, so they can accumulate when used repeatedly. ~ Row covers or small hole bird netting and catching and destroying the female moth looks better all the time. i wonder if this would work with those uber gross borer bugs that get into the squash? nicotine is highly toxic and spreads tobacco mosaic to plants, do not smoke around your plants. Mosaic makes plants turn yellow and green mottled and will kill your plants. "nicotine is highly toxic and spreads tobacco mosaic to plants". Only if the nicotine is contaminated. I have had fairly good luck in the past by going out early in the morning when the dew is still on the plants, or just after a rain when they are still wet, and sprinkle flour over them. Your advice has been excellent. This time, I'm not so sure I agree with you. You say you wont use (non)( sic), toxic insecticides in your garden, yet you will use tobacco water. The active ingredient in tobacco water is nicotine. Nicotine is a highly toxic alkaloid, used as an insecticide, and has been sold as such for years in the form of a concentrate to be mixed with water. This diluted form is no less than 'tobacco water'. I am sure washing vegetables sprayed with tobacco water would not remove all the nicotine residue. Rain would wash the nicotine to the ground where it would be taken up by the plant's root system. While any remaining residue might not be enough to harm an adult, I certainly would not feed vegetables treated with nicotine to a small child. Nicotine is such a toxic chemical, it is measured in milligrams and micro grams, not ounces. What we might call a small amount could kill a horse. Again, it has been used for years on vegetables as an effective insecticide without harm. However, due to its high level of toxicity, I would not serve children food with even minute trace amounts of it. I hope you will read this article. While it is very difficult to reduce the number of cabbage worms where I live, I would think that since you live on an island, with much joint effort by all the islanders, you could greatly reduce the cabbage worm population. One of the most effective methods of preventing damage to crops by the cabbage worm is the use of row covers. Not only are they highly effective, they are completely non toxic. I protected my cabbage with bird netting. The holes in the netting were just small enough to keep the cabbage moth out. It was much cheaper than row covers and will last many more years than row covers. When I say 'much joint effort', I mean the children should be involved, as well. I bought a small butterfly net at Dollar Tree for a dollar. You might be surprised to know just how many cabbage worm moths I caught with it. And if you haven't studied the cabbage worm moth, you might be highly surprised to know how many thousands upon thousands of cabbage worm eggs I prevented from being laid. Get the children involved. Every child on the island should have his/her own net, even if they have to be homemade. The two items I just mentioned, row covers and the catching and destruction of cabbage worm moths , are highly effective treatments. Not only that, they both are completely harmless, even to an infant. I've had good success with planting borage beside each suceptible plant (cabbage worms used to shred my hollyhocks). Borage has many health benefits, I hear, but it's also very attractive, has a beautiful blue flower (which attracts bees) but - most importantly - has prickly stems and leaves which cabbage worms cannot navigate. The companion plant hasn't quite obliterated the worms but they're less problematic with every passing year. Quite aside from the entire tabacco debate, I've found that growing borage amidst plants attractive to cabbage worms makes a marked difference.